Halloween means three things: costumes, parties, and costume parties. There's nothing worse than throwing an event with huge potential, only to have a lackluster turnout. This deal from FlyerHeroes brings you 16 Halloween themed flyer templates to make your events stand out. Plus you'll get 4 bonus poster templates and 4 bonus mockup templates to make your customized designs look even better. 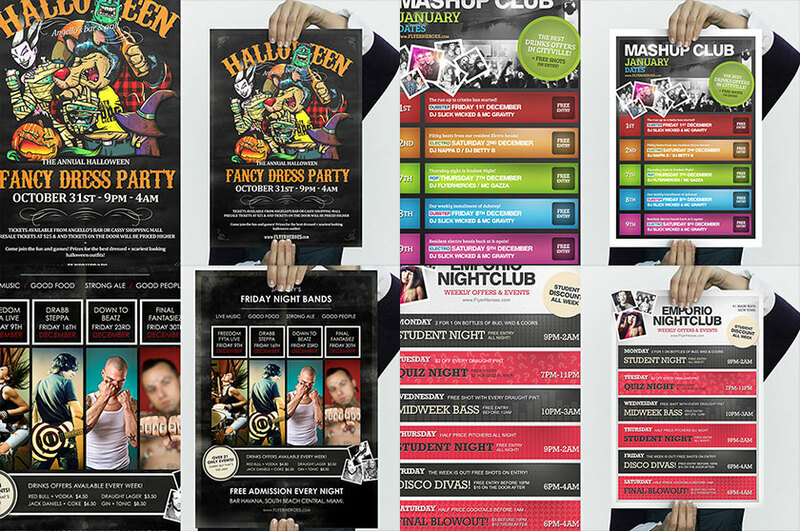 This mega bundle of Halloween themed flyer templates could not be easier to use. These Photoshop templates don't include any stock photos, so they're perfect for you to customize for your own personal, or commercial client work. 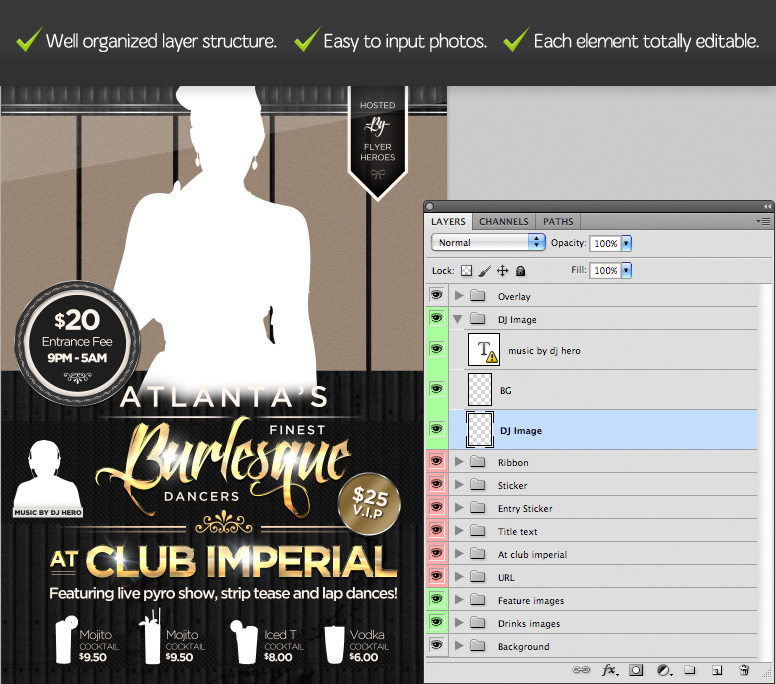 Each template includes print-ready CMYK copies, and web-optimized RGB versions of every file. Plus, every template includes documentation on what fonts are used and links to where to find them. 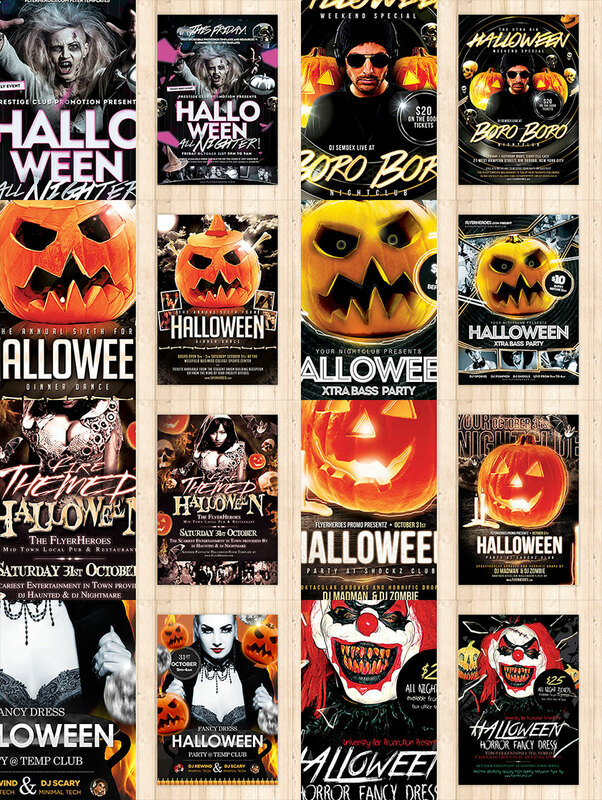 This bundle contains 8 Halloween flyer templates in a variety of color combinations and styles. 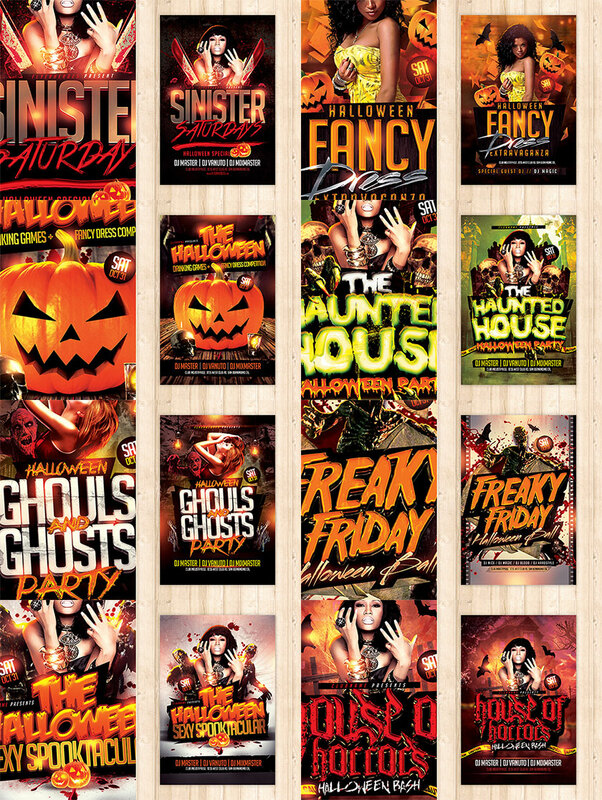 This bundle contains 8 more Halloween flyer templates in a variety of color combinations and styles. As a bonus, you'll also get 4 extra poster templates to use for whatever you want, like additional events or even web graphics. Just because these are included as a bonus doesn't mean the quality is any different. Every single file meets the same standards for quality and ease-of-use, both of which FlyerHeroes takes very seriously. Original Mockups is a mockup template shop by designer Carlos Viloria that has the absolute best mockup templates out there. For those of you that will be customizing these flyer templates for clients and friends, these mockups will make it quick and easy to present your work in the most attractive way possible. These mockups use Smart Objects, so all you need to do is copy/paste your design in and the mockup will automatically update with your personal work. Easy as pumpkin pie. Normally, all of these files would cost you at least $156, but for a limited time, you can grab them all for only $19. That's a huge 88% savings. Grab these files now and secure all the templates you need for the Halloween season for years to come. Files are delivered in PSD file format. After purchase, open the emailed link (HTML file) for direct download links. These templates can be used for both personal and commercial use. You may not resell, license, give away, or redistribute these files.